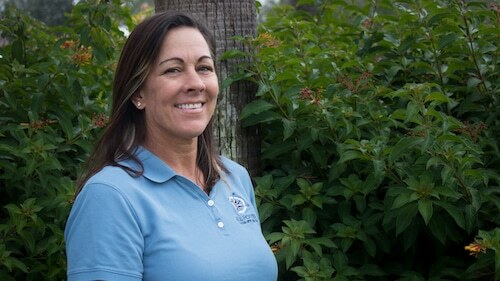 We are proud to hire drivers/customer care representatives have served in the U.S. military. 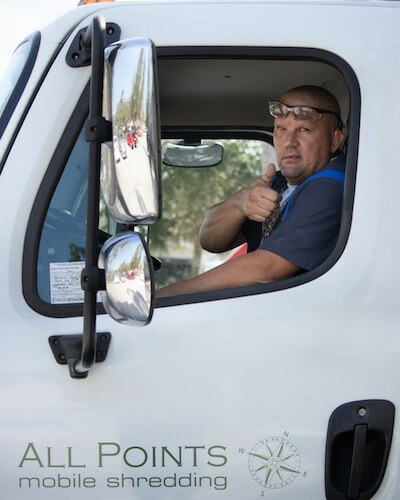 Every employee at All Points Medical Waste is subject to criminal and employment history background checks and drug testing as a condition of employment. Our drivers/customer care representatives have been extensively trained to handle medical waste and are knowledgeable in applicable local, state and federal laws governing your biomedical waste. What you love most about All Points Medical Waste? : I love the way we all have each other’s backs. Cats or Dogs? Love both! What you love most about All Points Medical Waste? 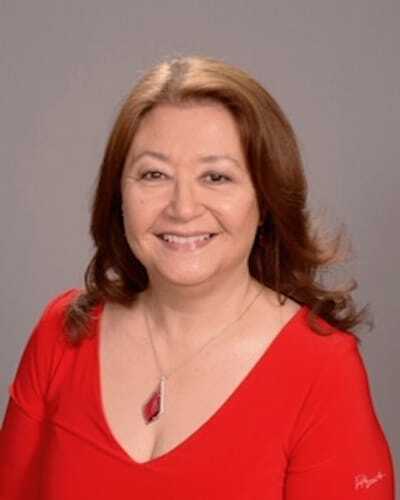 : I love how as a company we are family oriented. 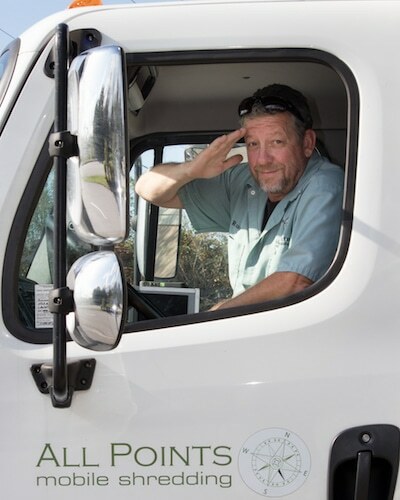 What you love most about All Points Mobile Shredding & All Points Medical Waste? : I love that the company’s values align with mine. Cats or Dogs? Love both…as long as I’m not responsible for them. Favorite Hobby: Zumba and learning to eat healthfully but tastefully. 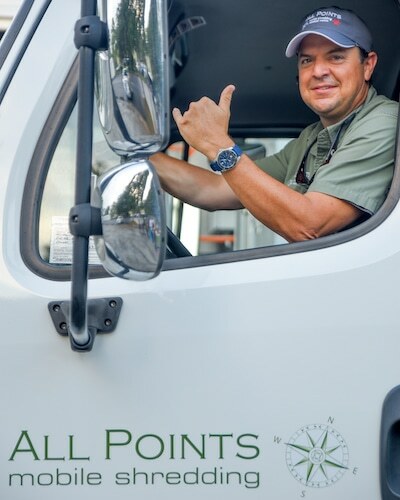 What you love most about All Points Mobile Shredding & All Points Medical Waste? : I love that we have a unified team atmosphere!